Viknesh Vijayenthiran February 12, 2019 Comment Now! 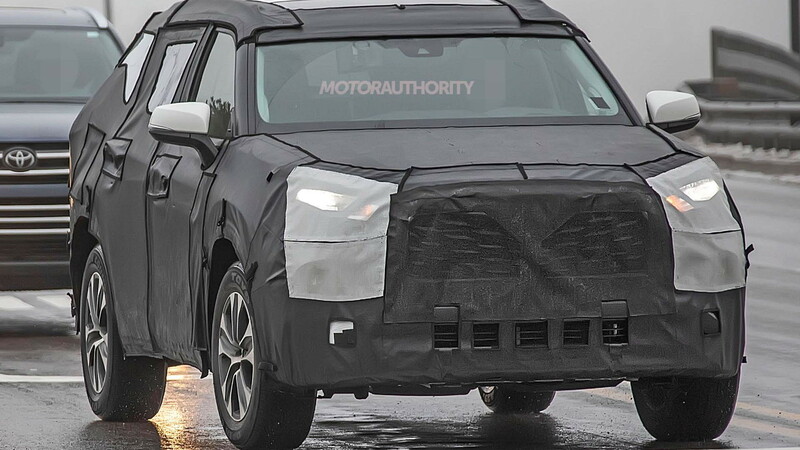 The prototype is heavily camouflaged but details of the vehicle's face can be seen. 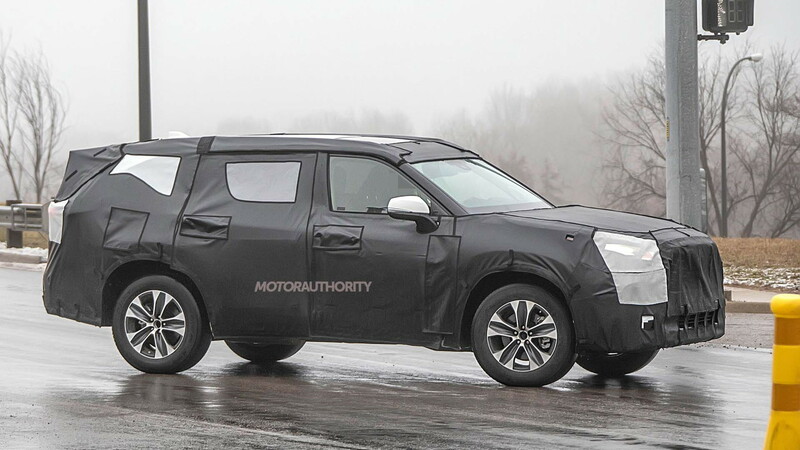 It looks like Toyota has adopted a similar look to the redesigned 2019 RAV4, with the grille shape appearing almost identical. 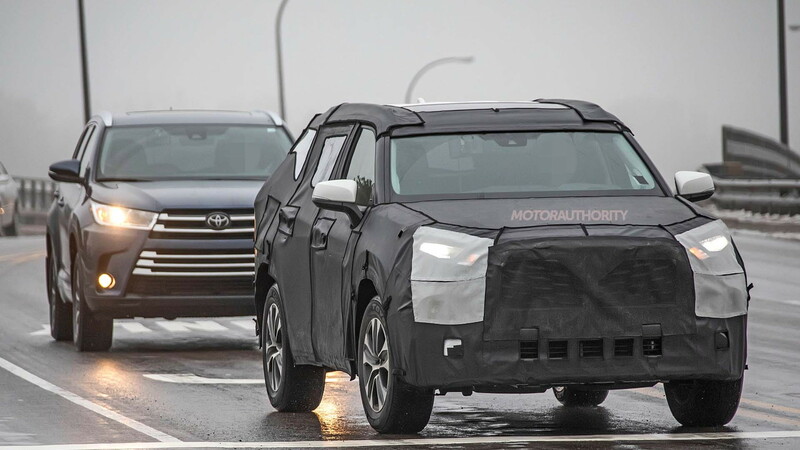 The rest of the prototype looks to feature a more fluid design than the rigid lines of the RAV4, resulting in a cleaner, more upscale look better suited to the Highlander's target demographic. 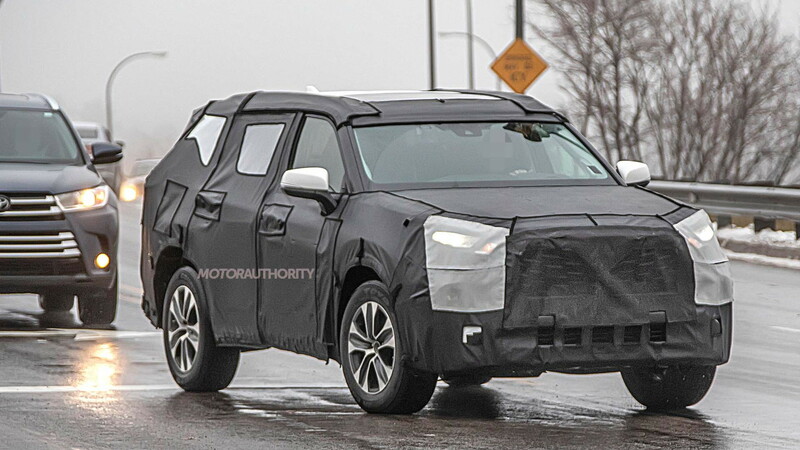 The redesigned Highlander looks to be slightly longer than the current model, with should go some way toward alleviating the issue of the current model's cramped third row. The current model also has just 13.8 cubic feet of storage before folding the rear seats, so hopefully this new one has more. It's not clear what powertrains Toyota has planned but you can count on a hybrid option, possibly with plug-in hybrid technology. A standalone V-6 should also be on offer. 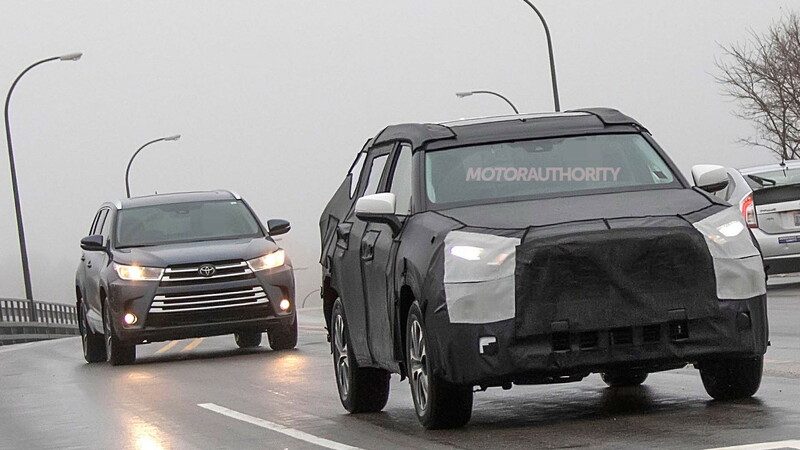 Toyota's redesigned Highlander is going to have a tough time on the market as it will be going up against a much-improved Ford Explorer that's also due for 2020. Buick's latest Enclave is also a solid option in this class and then there are the newcomers like the Hyundai Palisade, Kia Telluride and Subaru Ascent.